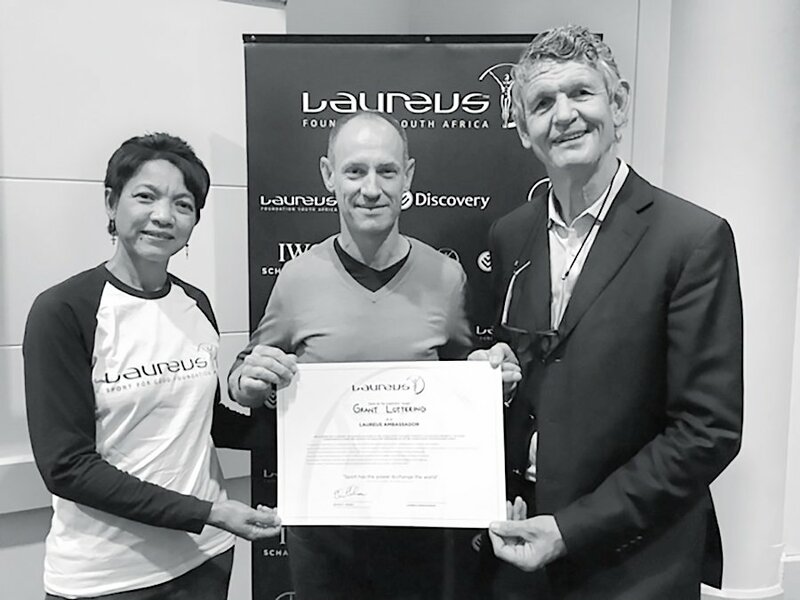 South African survivor and ultra-endurance cyclist, Grant Lottering, has been named the newest Ambassador for the Laureus Sport for Good Foundation, joining a long list of inspiring sports stars affiliated with the Foundation. As part of Lottering’s second Im’Possible Tour over the Alps, aptly titled, ‘Taking a Second Chance at Life to the Limit and Beyond’, Lottering recently became the first South African to complete a solo, non-stop, ultra-endurance cycle through the French Alps in less than 24 hours. In 2013, Lottering was told that he would never cycle again after suffering a near-fatal accident when he crashed straight into a rock embankment during a world championship preparation race in Trento, Italy. Doctors considered his extensive injuries too severe for him to cycle again. Lottering promised himself that this accident would not defeat him and decided that he would be back in one year to finish the race he had started, the race that almost took his life. He would show people that the human spirit can triumph over adversity and that the “impossible” is merely a limit set by others. Lottering spent four months recovering, undergoing no less than six surgeries and 83 rehabilitation sessions. He rode the first of his annual Im’possible Tours in July 2014, titled ‘From Death to the Top of the Alps in One Year’, defying his medical prognosis and raising over R150 000 for the Laureus Sport for Good Foundation. “Sport can make a difference to everyone’s lives at all levels. It can give purpose and direction. It certainly did for me following my fatal accident in July 2013, when I was faced with the real prospect of not being able to ride a bicycle again,” says Lottering. “The Laureus Sport for Good Foundation changes the lives of countless children through sport across the globe and being named as an ambassador for Laureus not only came as a huge surprise, but I consider it be an incredible honour. I look forward to be being able to do what I can to help,” added Lottering.